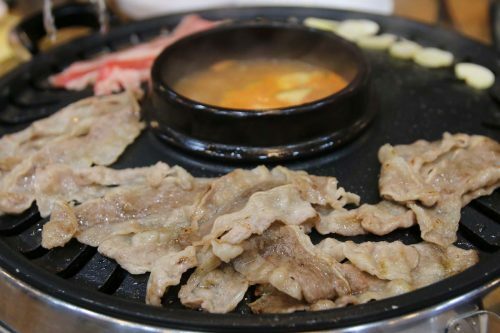 Tongsamsidae (통삼시대) is a very good option if you want to be full of meat for a very reasonable price. 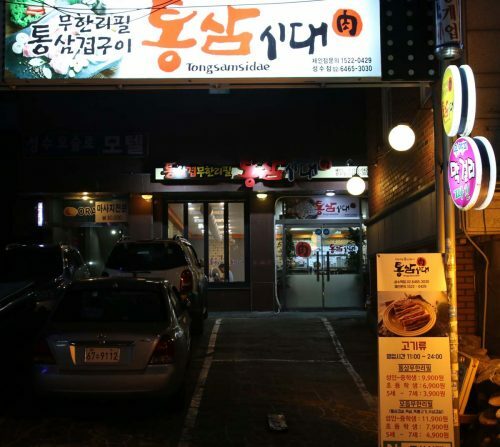 The quality was surprisingly good for the price and the variety of the side dishes was nice. I think it worth going for the second option. 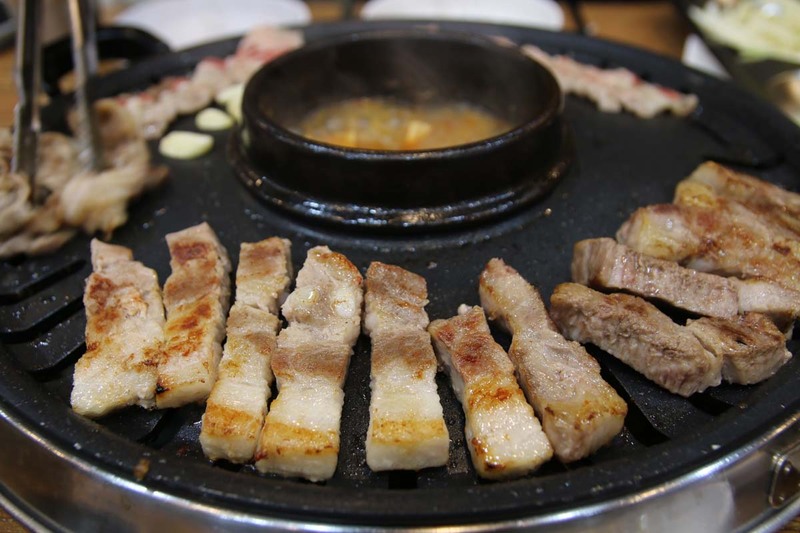 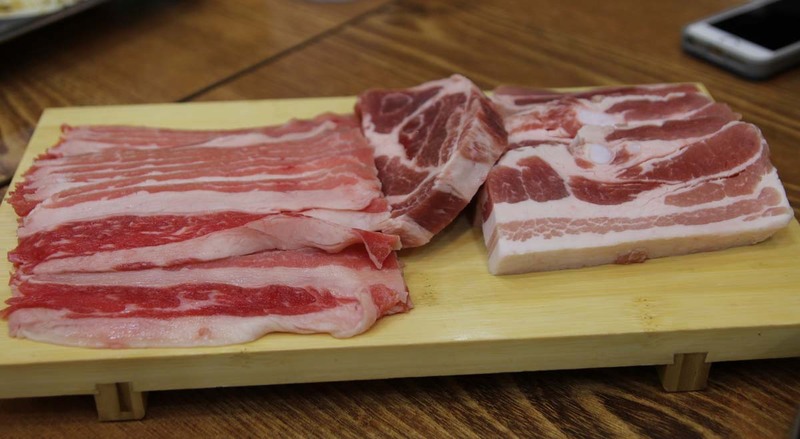 Usamgyeob is thin pork meat, which is similar to pork belly but super thin. 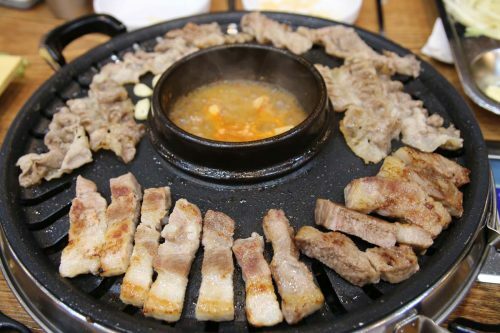 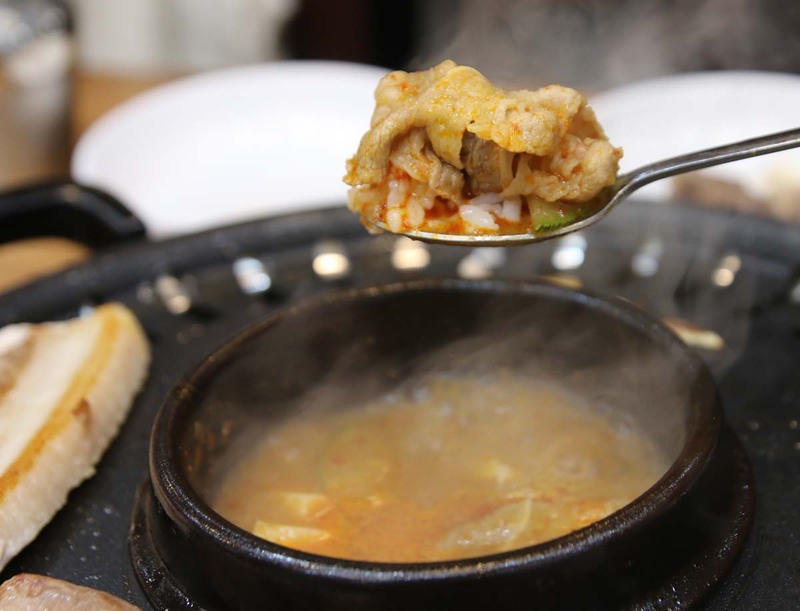 TOP: Cook usamgyeob in the soup served in the middle of the BBQ and eat it together with rice. The meat only needs 10-15 seconds in the soup in order to be cooked. 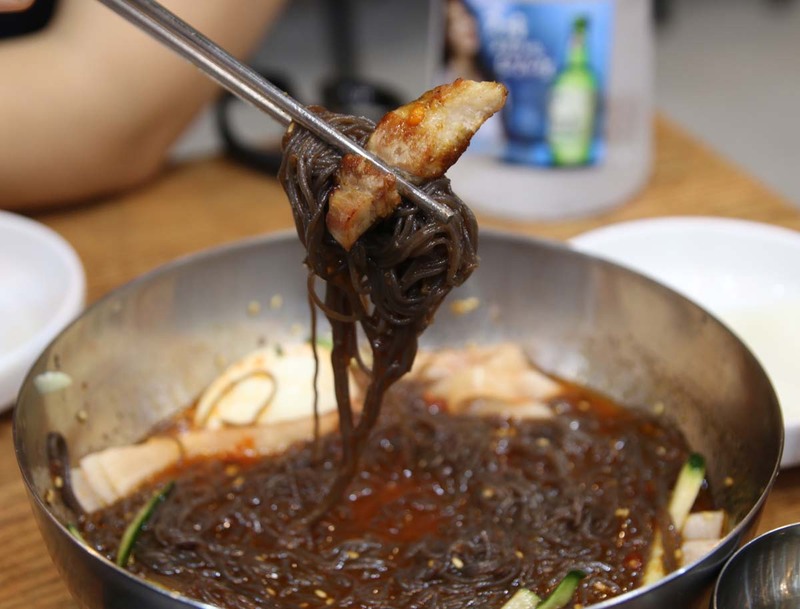 They also serve other small dishes such as Naengmyeon (₩3,000), which was alright but far from others I have tried. Overall, a really good value for price and I would highly recommend this restaurant. Find the best discounts for your hotel or hostel in Seoul.